Our Annual Multi Pitch Perfect Coffee House is back! Are you tired of singing in the shower? Excellent, because we are too. Let this be your chance to let that talent get out loud and proud. 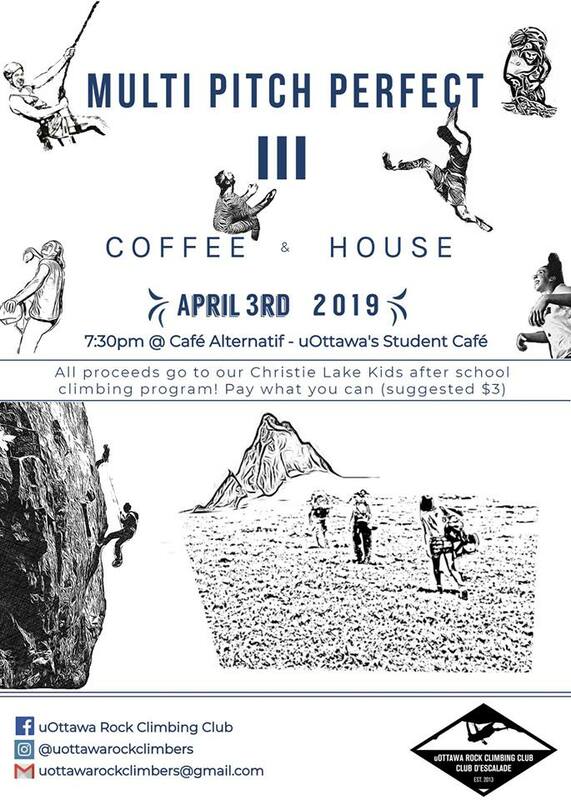 We will have baked goodies, tea, and of course, coffee but it's all by donation for our Christie Lake Kids climbing program. We appreciate anything you choose to donate (at the door), and thanks to you, we can take dozens of middle schoolers to the climbing gym every week every semester. Indeed, it is YOU and your Multi Pitch Perfect talents who are setting the stage for the next generation of climbers.